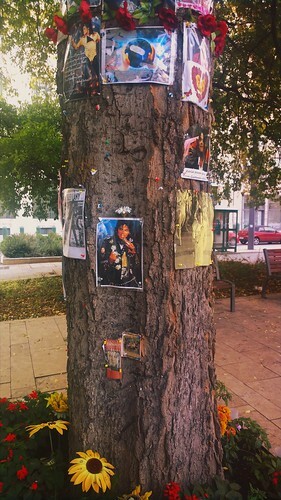 "Here we go, The Michael Jackson Memorial Tree". 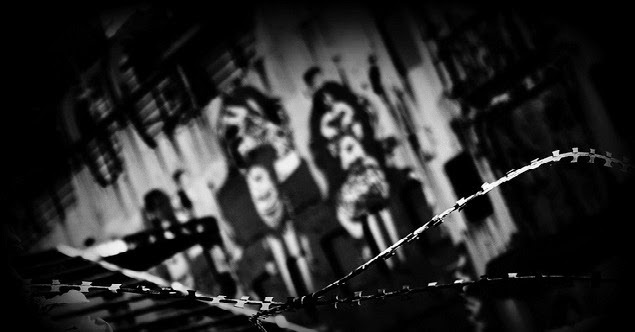 Tin Dog's stunned silence painted a picture in my mind of an internal conveyor belt of words coming crashing to a halt. For the first time in our trip he was silenced, just for a moment. 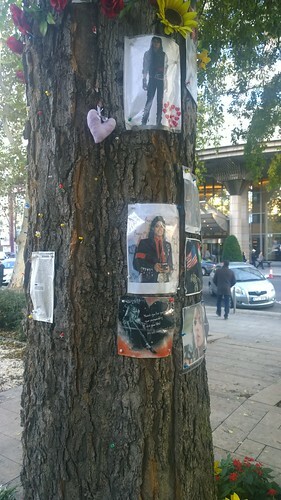 It would seem that when Mr Michael Jackson visited Budapest he would stay at the Kempinski Hotel, it has a tree outside and when he died fans set up a memorial to the late star. Posters, candles, flowers and a flash mob every year on Jackson's birthday - a note for your diary 29th August Pop Pickers ! 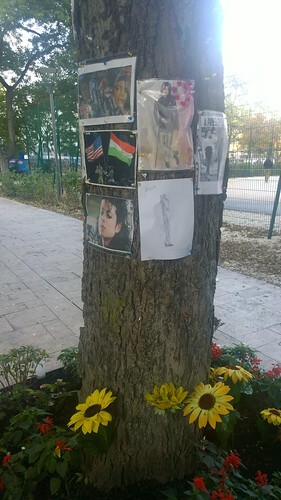 On our travels around the city over the next few days we passed the memorial tree on a number of occasions spotting a lady sat weeping at the foot of the tree, one tending to the flowers and one lighting candles in memorial late at night. "You wouldn't get that for Rolf or Jimmy you know"